After loosing several auction on this set, I finally won these! 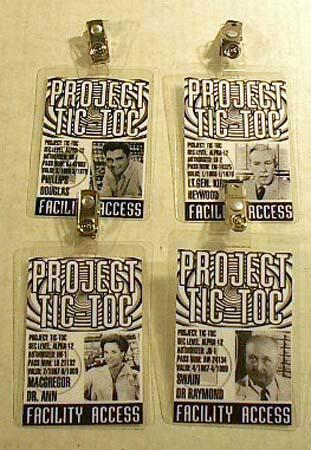 A set of 4 "Project Tic-Toc Facility Access ID cards". 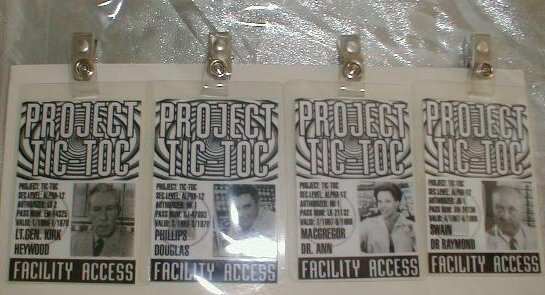 The cards featured are, Lt. Heywood Kirk, Douglas Phillips, Dr. Ann MacGregor, & Dr. Raymond Swain. These were probably made for a fan club organization? 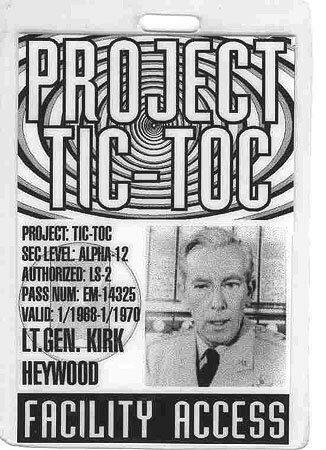 I purchase these on March 27, 20001 from the Intergalactic Company in Longwood Flordia.